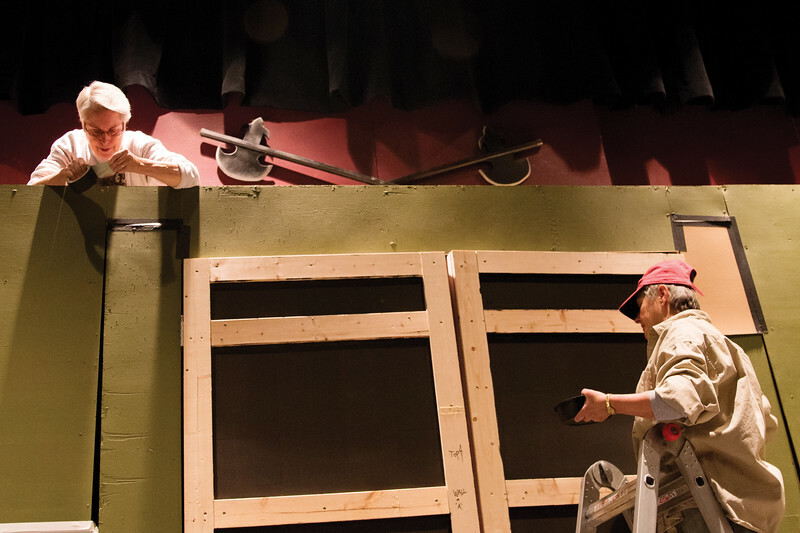 Join Paulette Kucera and Pat Trout as they put the finishing touches on the set for the WYO Theatre's production of "The Addams Family." 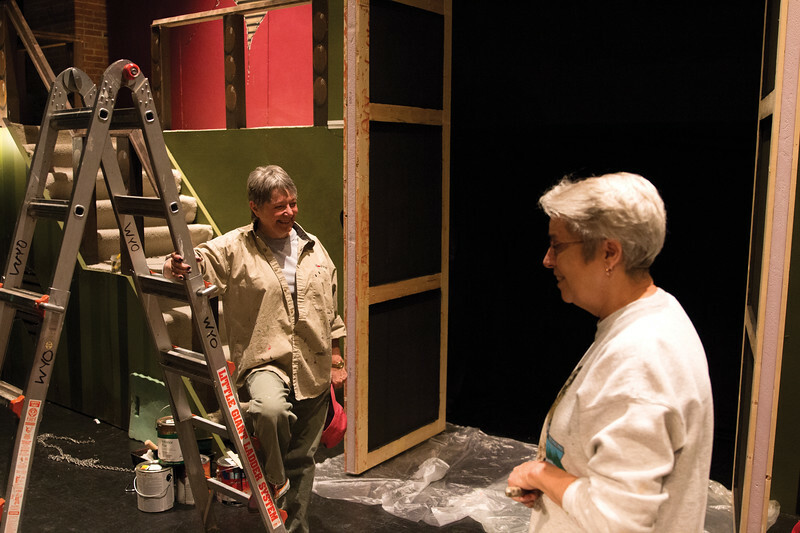 Local artists Pat Trout, left and Paulette Kucera, right, volunteer at the WYO Theatre building and painting the sets for stage performances Tuesday, Oct. 16, 2018. Paulette Kucera, right and Pat Trout, left, crack jokes and poke fun at one another while attending to the details of the set for the WYO Theatre’s production of “The Addams Family,” Tuesday, Oct. 16, 2018. 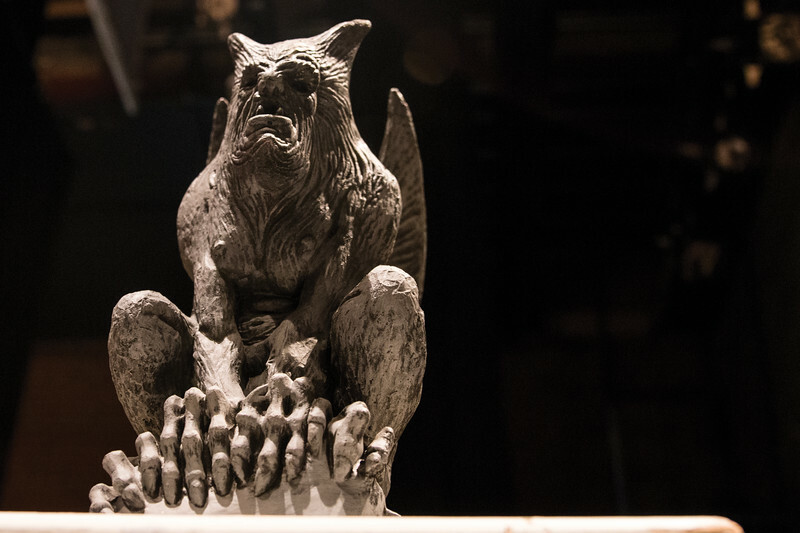 The crypt, complete with squeaky hindges and gargoyles is just one of several moveable set pieces that will be used to bring the “The Addams Family” to life this Saturday at the WYO Theatre. Tuesday, Oct. 16, 2018. 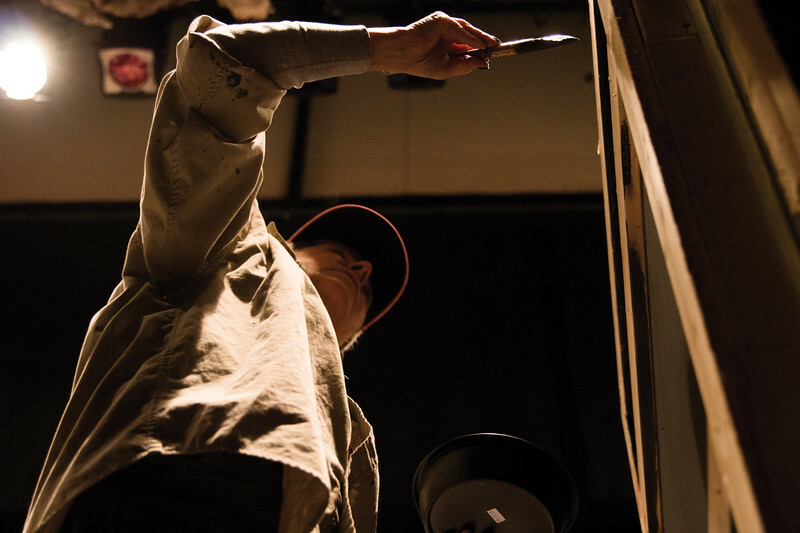 Pat Trout goes about making the backdrop for the WYO Theatre’s production of “The Addams Family” seamless Tuesday, Oct. 16, 2018. 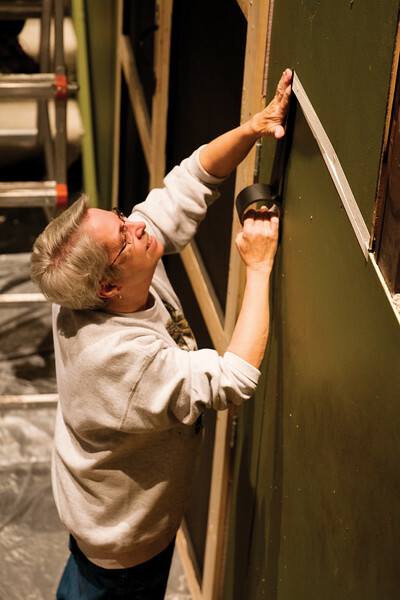 Paulette Kucera paints the trim on a large set of double doors for the set of the WYO Theatre’s “The Addams Family” Tuesday, Oct. 16, 2018. 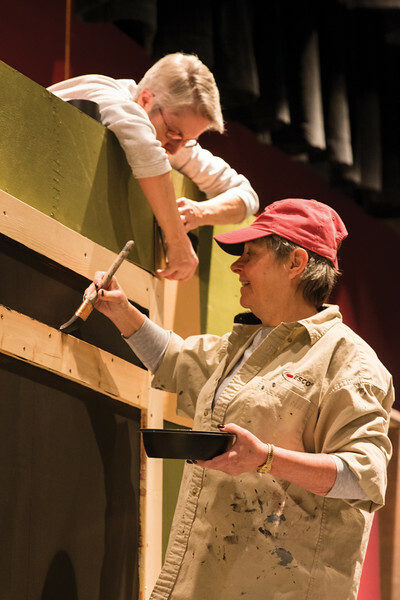 Paulette Kucera, left and Pat Trout, right, are all smiles while putting on the finishing touches to the set for the WYO Theatre’s production of “The Addams Family,” Tuesday, Oct. 16, 2018. 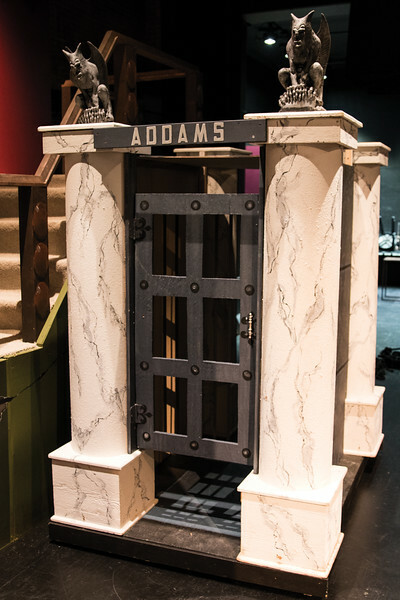 The devil is literally in the details for the set of the WYO Theatre’s production of “The Addams Family,” Tuesday, Oct. 16, 2018.